Start by teaching your dog how to greet you when you come home yourself. Get your pup to sit and stay when you come home. Might be a good idea to place a small mat near the front door and your dog will soon learn that this is the mat where he or she sits to greet visitors. Once your dog is sitting politely, then you can greet your dog by gently stroking and speaking to your dog in a calming voice. Teaching your dog how to greet you is going to teach them how you want them to behave in general when anyone comes in the front door. This needs to become a daily practice for your pup to really learn it. It will become easier and easier the longer you do it. You can practice by going out and coming back in over and over again to help your dog understand and get the point of what you are are asking him or her to do. If you have a dog who likes to spend time out in the yard, it’s a good idea to teach them to do this when they enter the house as well. You might want to place a “greeting mat” near the back door as well. Teach them that when they come in, they sit on the mat and wait to be greeted or given the command to come in and make themselves at home. This is going to be harder with a dog who has lots of energy. They are going to want to come inside and run all over the house because they are excited and that is probably what they usually do. You’ll need to be very patient and stick with the training every time the dog comes in to get this to work, but it will work. Soon enough, (or over time) your dog will learn to enter the house in a calm and civilized manner. Your dog will also learn that when you come home, they greet you by sitting at the door patiently and not jumping all over the place. Now it’s time to invite other people over. Start small, with one or two people and you can go up from there. 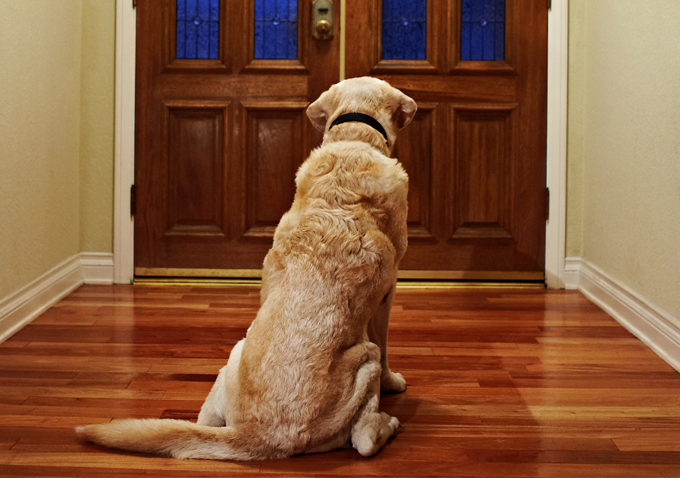 Have your friend knock on the door or ring the bell, then get your dog to sit in the greeting position near the door. Do not open the front door until your dog is calmly in position. It does not matter how long this takes, it’s more important that they do it right. The first time is always going to be the hardest. Be sure to praise your dog when he or she gets it right. Now, let your friend into the house and make sure your pup remains sitting in the greeting position. Have your friend greet your dog by petting and talking in a calm, soothing voice, give your dog time to sniff your guest and then have your human friend go and sit on the sofa. Then let your dog know they can come and join you in the living room with your guest. You may need to do this over and over and over again. I hope you have some patient, dog-loving, friends! 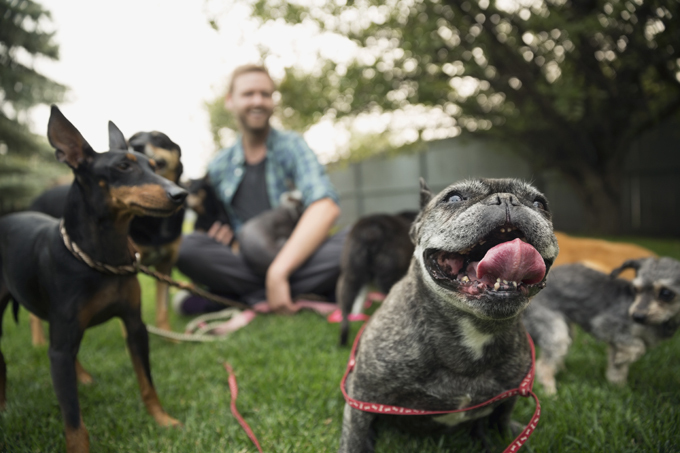 You’ll want to keep inviting more and more people over to make sure your dog really understands what is expected of him or her. Continue being consistent and patient. Don’t give in, or you’ll lose the battle. When you are out on walks and you stop to talk to someone, teach your pup to sit at your side and let the person greet your pup and allow your pup to sniff them. You are going to apply this “sit greeting” technique every time your dog meets a new person no matter where you are. With continued loving guidance your pup will be greeting all visitors in a calm manner, even the mailman!